Martial Arts Makes Better Human Beings! There is a tremendous amount of interest in what Matrixing Technology is and how it really effects the martial arts. It is pretty obvious that Matrixing is going to be the next phenomena in the martial arts. It is pretty obvious that Matrixing is going to sweep the world and provide real transformation. The More You Know the More You Grow! To explain why this is going to happen, let me point out a couple of things. The first is that Matrixing does not make any martial art wrong, it makes every single art it touches better. The second is that the purpose of matrixing is to align the information of the martial arts, to make it logical and easier to learn. Now the actual and defined reason behind of matrixing is to analyze and handle force and direction. To understand this is to understand that every object in the universe has a direction. And, collision is the point at which the various trajectories of the objects intersect. Thus, the point of matrixing is to control the paths of objects so that collision is avoided, or at least the collisions if for the person instead of against him. In the martial arts it is easy to see how this could be the heart of the matter. In fact, a little matrixing and you understand it is the underlying principle of martial arts, and life itself. Joe Blow throws a punch at you, or an elbow or a spear or a foot or a body or whatever. You analyze the path that the weapon is taking accurately, and you can handle it. If you do not follow the path of the weapon accurately, poor you. How do you ascertain that you have selected the correct trajectory? By knowing all the potential paths that could be taken. Only if you have analyzed the trajectory against all the potential trajectories can you determine that you have chosen the correct trajectory to handle. So matrixing is a method by which you can analyze all potentials of motion, and thus select the correct one to handle. And, by matrixing, you can analyze all of your potential choices, everything you could possibly do and be assured that the one you choose is the best one. And, here is the real key, matrixing enables to discover trajectories that you did not even know were there! That’s right, to discover the things that you don’t know, and this makes you the ultimate pioneer in the fighting disciplines. With matrixing you have the key to discover all the hidden mysteries of the fighting disciplines, no matter if you are studying shotokan or Tracy kenpo or that esoteric form of Wudan. 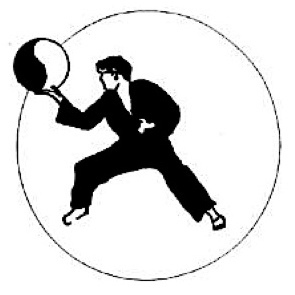 Beginners in Goju ryu will learn faster, wudan pa kua chang students will uncover the ancient mysteries, and even the bash and trash experts of the ground and pound arts in mixed martial arts and ultimate fighting championships will find themselves enlightened and uplifted. Al Case began his study of Karate in 1969. Take advantage of his 45 years of knowledge. Check out Matrixing at Monster Martial Arts.